Galaxy S IV is Samsung's new galaxy series smartphone. We know Samsung's Galaxy S III hit very successfully in mobile market last year but we don't no the history repeat itself or not. The new flagship droid runs on Android Jelly Bean OS and powered by Quad-core 1.9 GHz Cortex-A15 or 1.6GHz octa-core processor and 2 GB of RAM. It come with 5-inch Super AMOLED capacitive touchscreen with16M colors, 1080x1920 pixel resolution and Corning Gorilla Glass 3 screen protection. It sports Dual cameras; 13 MP Auto-focus rear camera and 2.0 MP front facing camera. built-in with 2600 mAh Li-Ion battery. 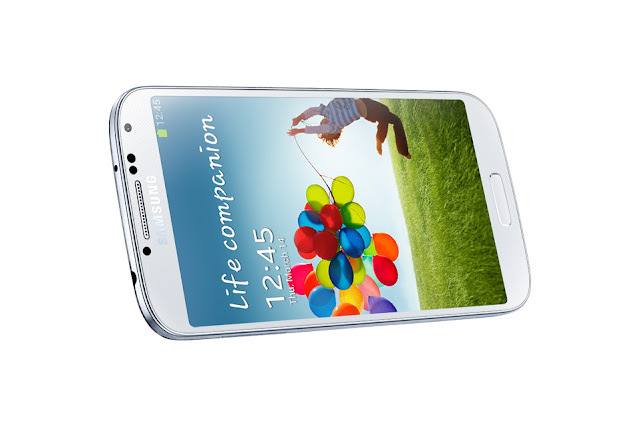 Each feature on Samsung Galaxy S IV designed to simplify our daily lives. It's S Health feature is very useful in daily life to stay healthy. Samsung also included S translator, it translate typed content into another languages and get sound comment. So this feature is more useful while travelling.